I’ve read just about every book out there on the art and science of smoking meat, but one thing that I have never done is actually eat authentic Texas-style BBQ. And with as much brisket as we have been selling lately, it seemed only right that I seek out a sample that people who know great BBQ would appreciate. 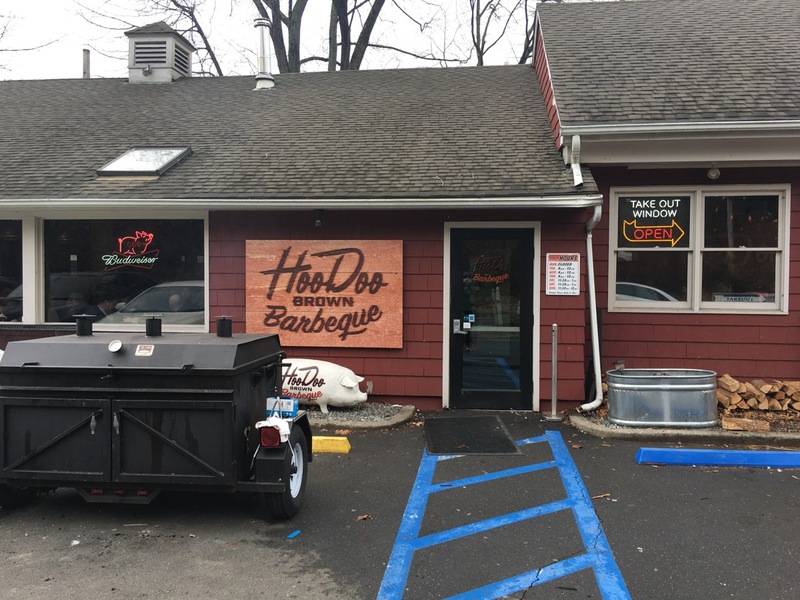 For that reason, I decided to spend a Sunday in late January cruising east to Ridgefield, Connecticut to check out a place called Hoodoo Brown Barbecue. I didn’t have the time to get to Texas and back in a single day, but from everything I had seen on Instagram, Hoodoo was the next best thing. And at ONLY a seven-hour drive, it was an adventure that I could pull off in a single day. 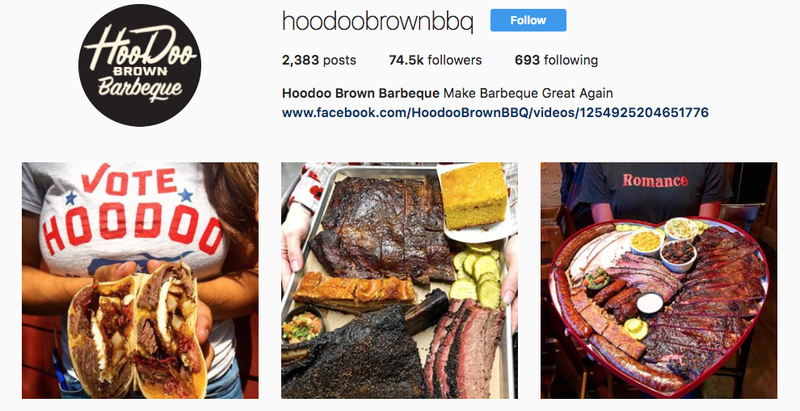 I have been following @hoodoobrownbbq on Instagram for about six months now, and I am consistently blown away by the stunning pictures they post. It’s just one massive tray of smoked meat after another, and I needed to get myself some of that. And because they have over 74,000 followers on the gram, I knew that I wasn’t going to be alone in thinking this way. After just under seven hours of interstate driving, I was starving when I finally pulled up outside of Hoodoo Brown Barbecue. That’s when I ran into the first problem of my trip: no parking. As you might expect, this popular local BBQ joint was absolutely packed on a random Sunday afternoon. And after finally finding a parking spot a few buildings over, I walked in to find that there was a 45-minute wait for a table and people were lineup up waiting for seats at the bar. Between the long wait and the whole hog that was cooking outside the front door, I was fairly confident that I had made an excellent decision on this trip. And that’s before I even got to eat! When I finally secured myself a seat at the bar, it was time to start thinking about the food. 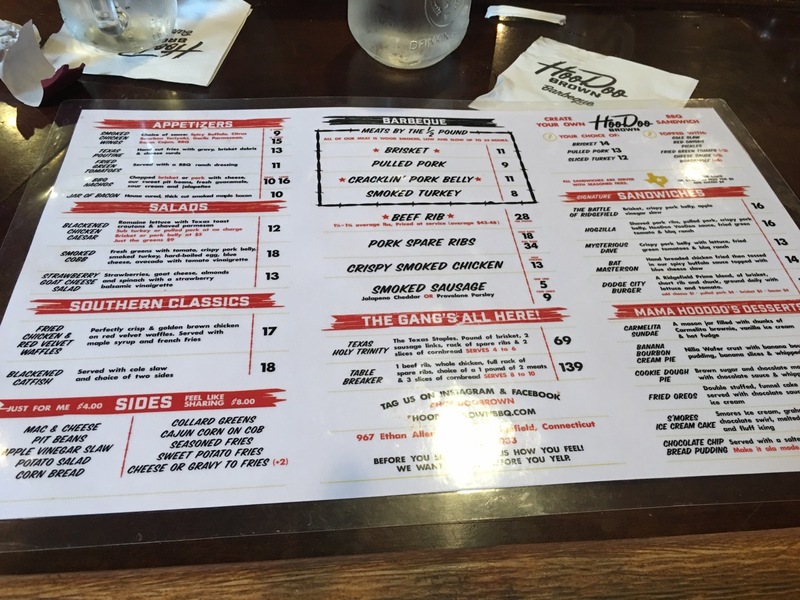 I was already quite familiar with the menu, and I knew that I wanted to try just about everything. To avoid looking like a complete pig, I warned that bartender that I was ordering way too much on purpose because I had traveled so far to get there, and I pointed out that I had brought a cooler with me to take home whatever I didn’t finish. After the commotion around the bar regarding my journey died down a bit, I put in my order: one beef rib, a half slab of pork ribs, a half pound of brisket, a half pound of turkey, one jalapeño cheddar sausage link, one piece of cornbread, and sides of potato salad, mac and cheese, and baked beans. As you can probably guess just by looking at the picture, everything that came out on my tray was spectacular. 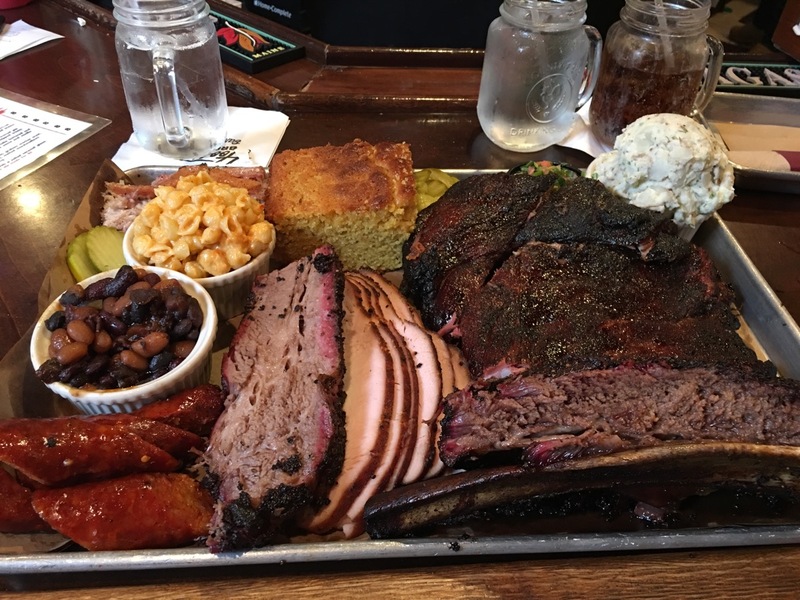 And in true Texas-Style form, I was particularly impressed by the beef rib, brisket, and sausage. While I was enjoying my meal, I noticed another person at the bar place an order for a “Jar of Bacon,” which caused me to do a double take and immediately add one onto my own order. I also had the pleasure of witnessing someone enjoy a bloody mary that came topped with a pork rib, a slice of brisket, and a piece of sausage. Mind. Blown. 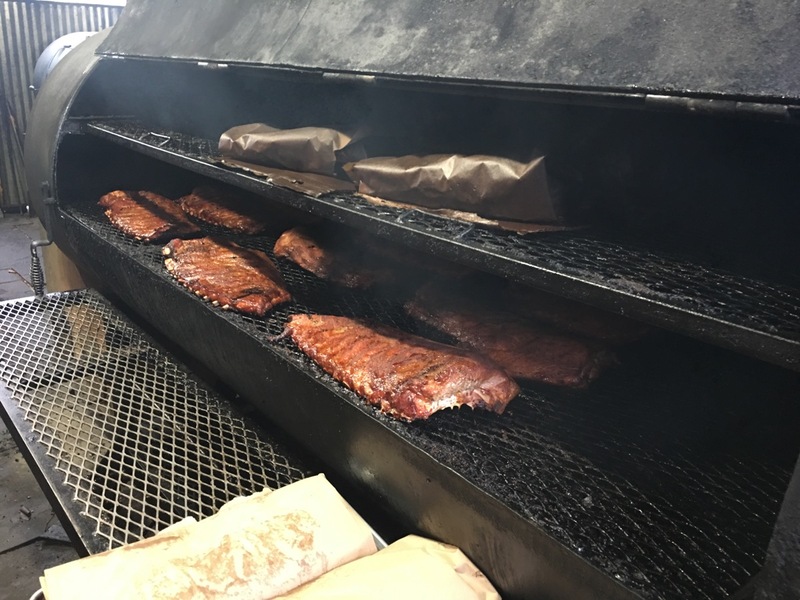 I made the seven-hour drive to Connecticut for the food experience, but I’d be lying if I said that I didn’t have plans to observe as much as I could about their smokers. I had read online that they were using a Lang 108, which is the bigger version of the smoker I was looking to purchase. Getting to see a Lang in action before committing to buying my own would be huge for me. Fortunately, I got to do a lot more than just sneak a peak. That’s because Chris Sexton offered me the full tour when he heard about my trip. And as we walked through the restaurant and checked out the smokers in action, he gave me all kinds of great information that would become more and more valuable in the coming weeks. As luck would have it, just two weeks later I have a Lang 108 of my own sitting out in the parking lot. So I now have a vision in my head of how to go about making and serving Texas-Style BBQ up north, as well as the tools to pull it off. Let’s get to work!